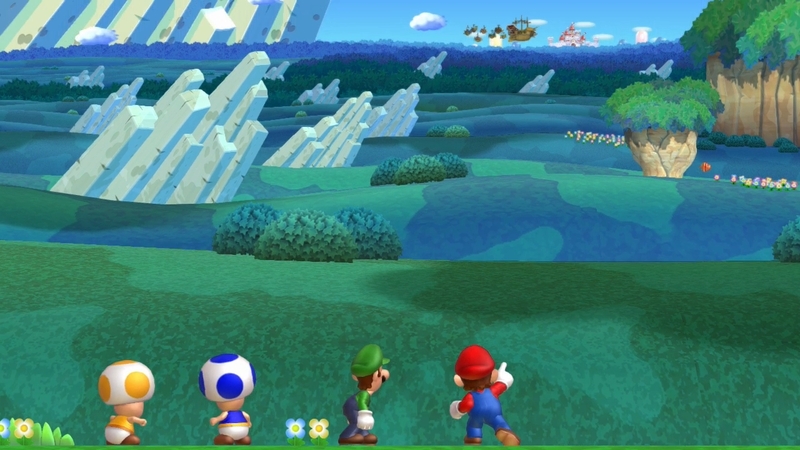 Even though I played New Super Mario Bros. U just a few months ago at E3, I couldn't resist getting my hands on it again at New York Comic Con. 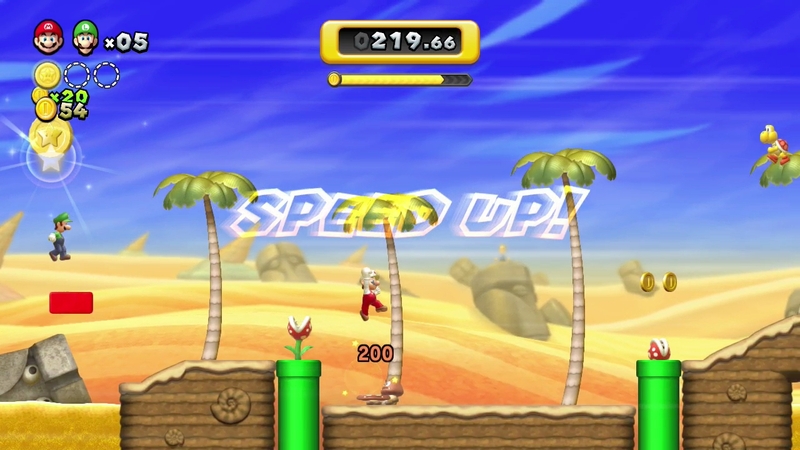 This time around, Boost Rush mode was on display, so I got to check out one of the recently announced gameplay modes for the upcoming Wii U launch title. 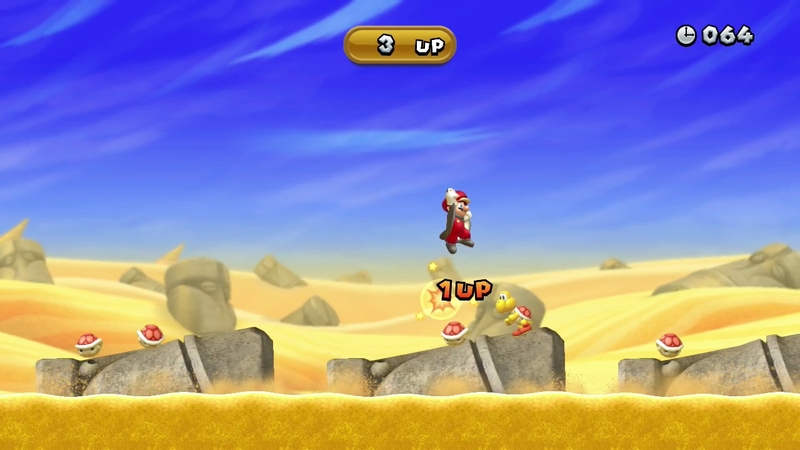 Boost Rush lets you select a series of levels, similar to Coin Rush in New Super Mario Bros. 2 for the 3DS, and each stage scrolls faster and faster as more coins are collected. 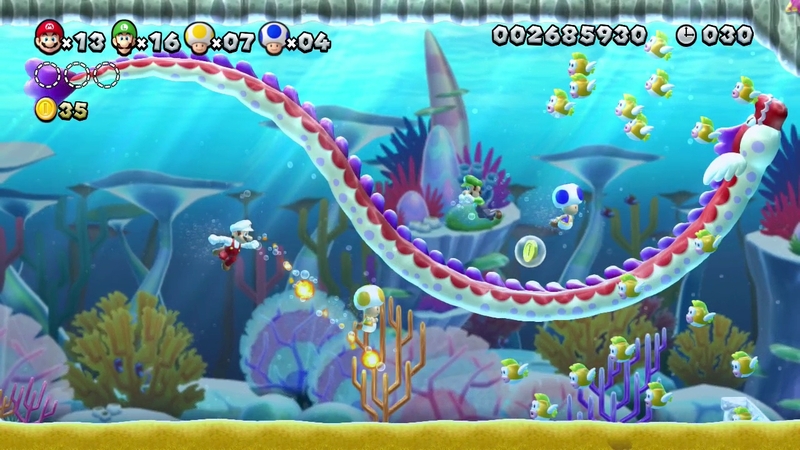 Add four jumping, spinning, floating players and a fifth assisting on the GamePad controller, and things can quickly get out of control. 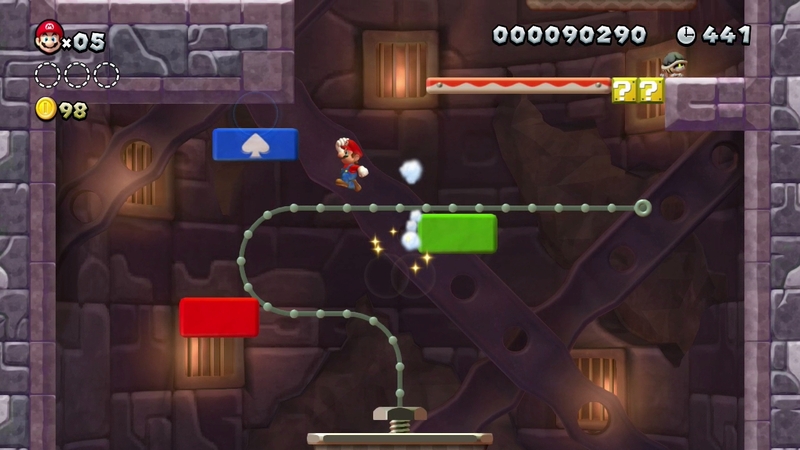 During the demo, I grabbed a Wii Remote and took control of Mario. 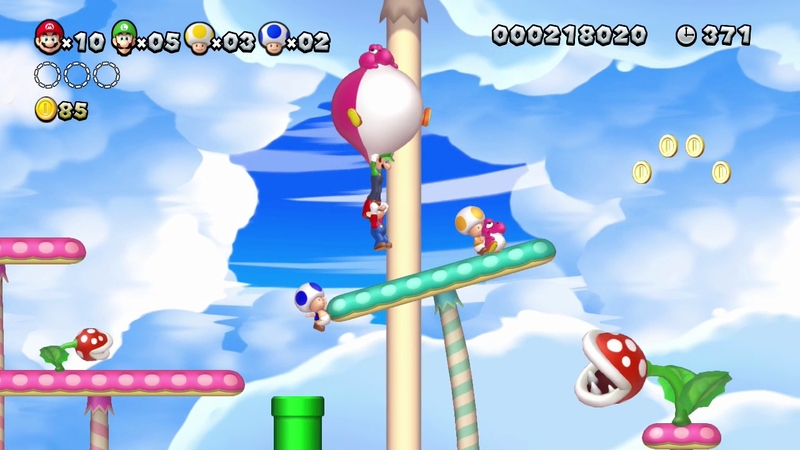 Before long, four baby Yoshis popped onto the screen, and I happily grabbed one. 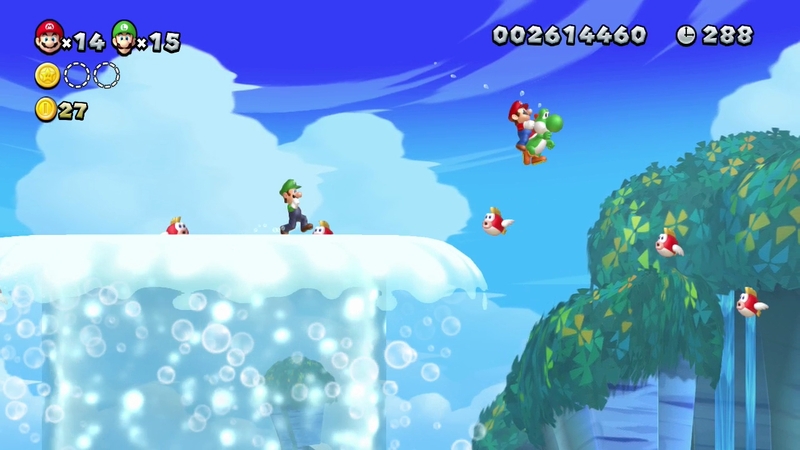 Baby Yoshi can still eat enemies like he could in his 16-bit days, but he's also got a new trick: by shaking the controller, he swelled up to a balloon, and I could float through the stage, avoiding foes and hazards. 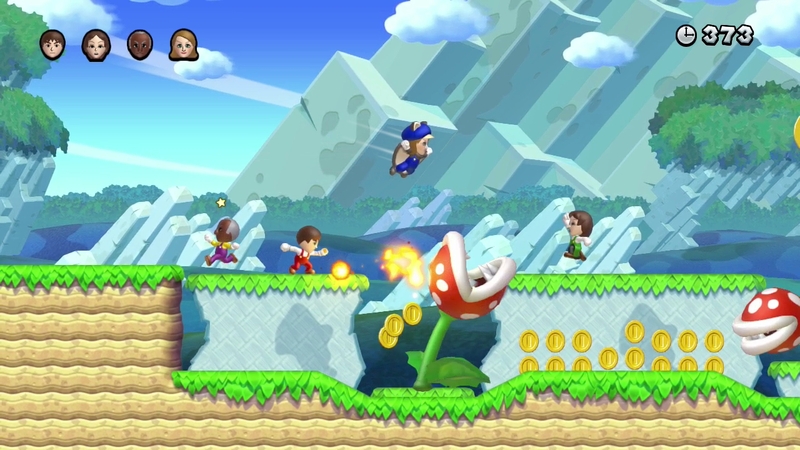 I also got a chance to try out the new Flying Squirrel suit, which is found by grabbing a Super Acorn power-up. 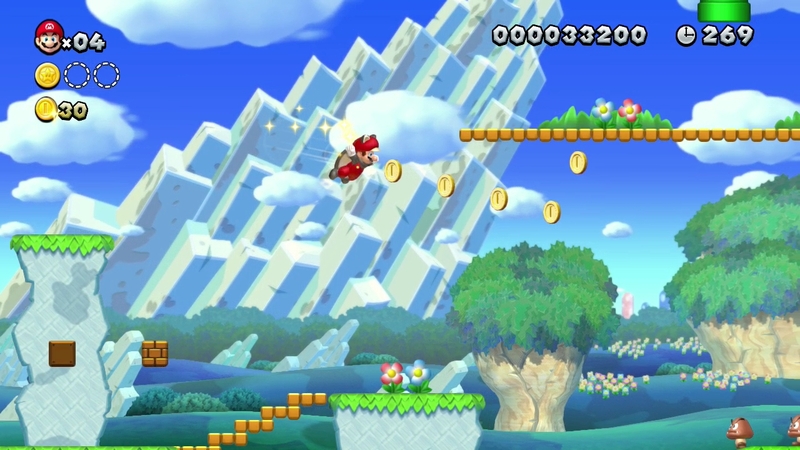 Flying Squirrel Mario can glide, stick to walls, and even jump mid-glide, making it a great tool for the bottomless, fast-moving Boost Rush level. 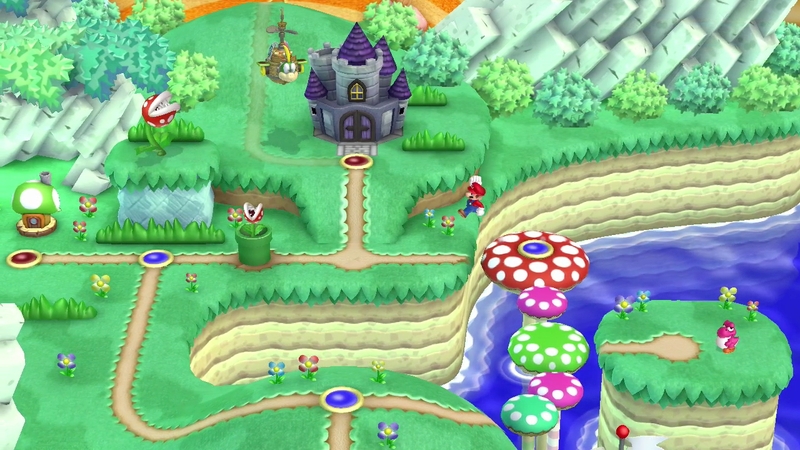 Throughout the selected stages, I got a better idea of how the GamePad player could help or hinder the rest of us. 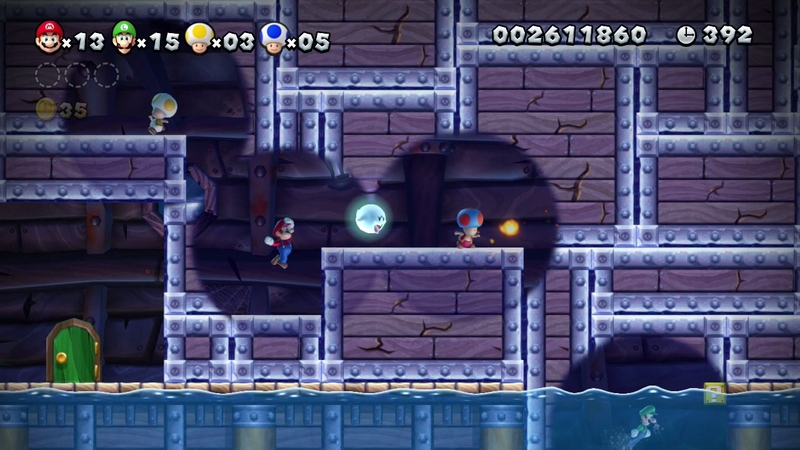 NSMBU's "asymmetric gameplay" allows the player using the tablet controller to place blocks throughout the level, which disappear after a few seconds. 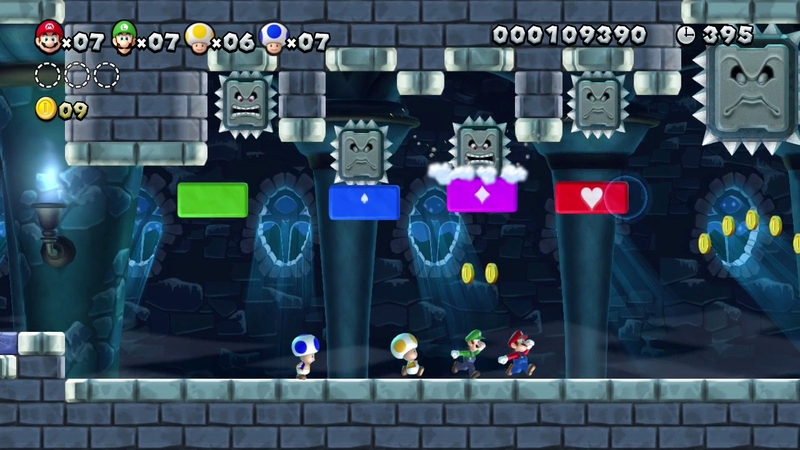 These blocks can serve as platforms that mean the difference between life and death, as well as being able to stop enemies from reaching you. 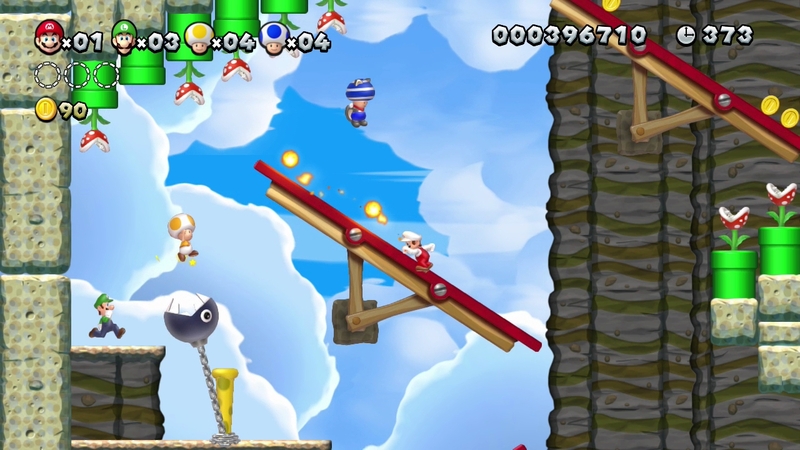 With the chaos of Boost Rush, having a fifth player there to throw up a quick platform or get an enemy out of the way came in handy many times, but a poorly placed structure can block a perfectly timed jump, so the fifth player has to be careful (or not, if you want to see your co-op partners fail). 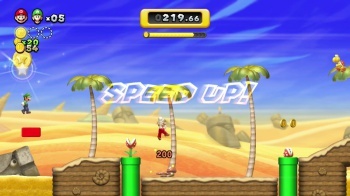 Boost Rush is certainly fun, but with so much happening onscreen, it's sometimes hard to tell what's going on, especially when the scrolling really speeds up. With the right group of friends, though, it seems like it could be a blast. Even playing with four strangers at NYCC, we were constantly laughing, shouting advice, and trying to help each other out, at least until we used up our shared supply of lives after a few too many deaths. 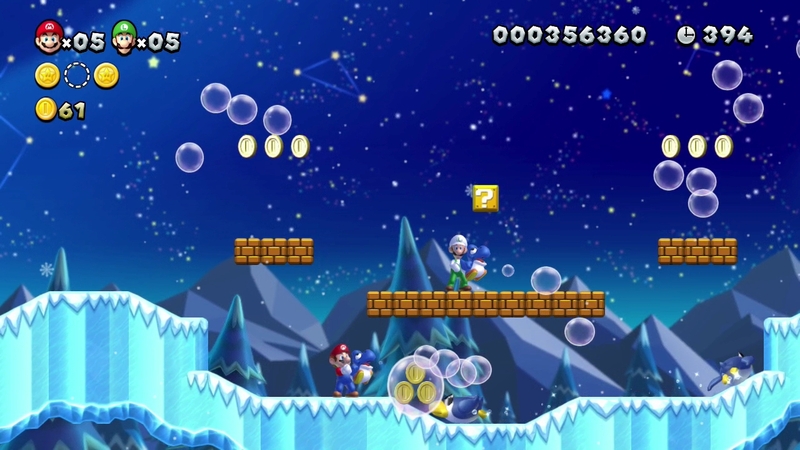 It's not a whole new Mario, and the simple twists on the same basic 2D platforming might not be enough for everyone. 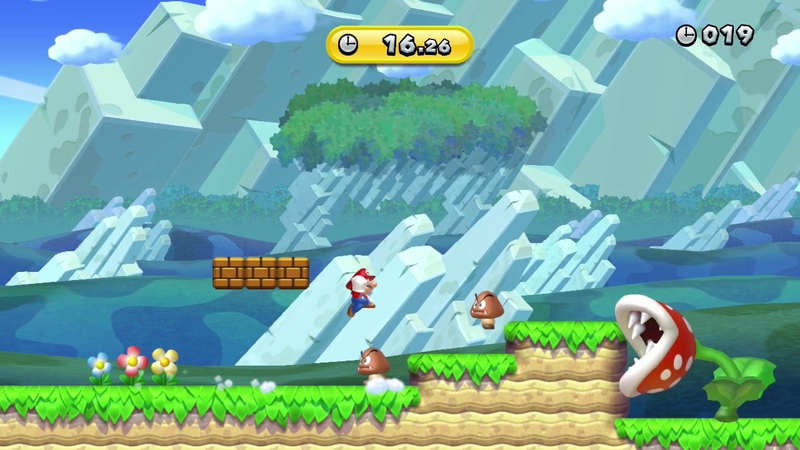 But for Nintendo fans, the new levels, baby Yoshis, additional power-ups, and more chaotic co-op modes are more than enough reasons to get excited when New Super Mario Bros. U launches alongside the Wii U on November 18.